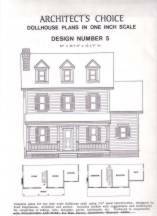 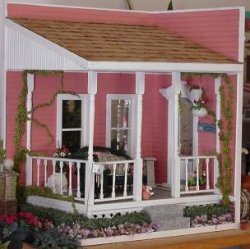 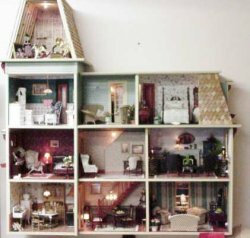 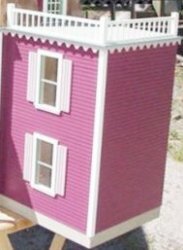 These 1" scale Dollhouses have Complete assembly instructions with drawings showing placement of parts for easy assembly. 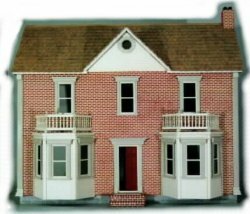 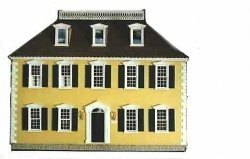 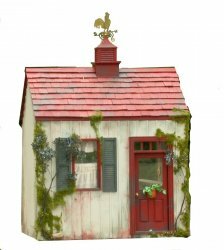 To allow for a diversity of preferences, windows, doors, shingles, siding, and stairs are SOLD SEPARATELY for the rest of our historical series of dollhouses. 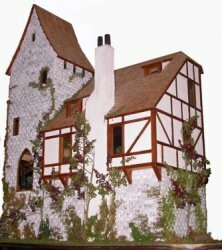 Finished structures are shown to give you ideas only. 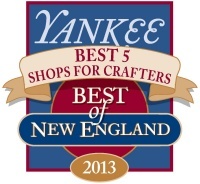 If you like, we will be glad to tell you how we finished them.